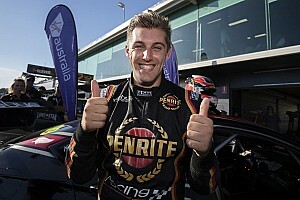 DJR Team Penske boss Ryan Story says the Supercars-spec Mustang was 'always going to be polarising' in terms of its looks, but that he's happy with the finished liveried product. The Mustang, developed and homologated by DJRTP, split opinion when the prototype was first unveiled in a camouflage livery back in November. The bubble-style roof, a necessity due to the control Supercars chassis, along with the low, swooping nose and massive rear wing all helped fuel a fire of mixed reaction on social media. 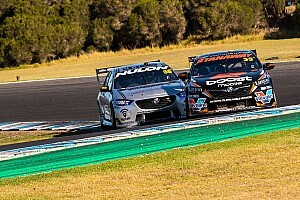 According to Story, the Supercars regulations meant that draping a two-door car over the chassis was always going to lead to a 'polarising' look. And he also says the camouflage livery run in the lead up to the crucial aerodynamic homologation tests made things worse, which has now been pacified by cars rolling out in traditional liveries. 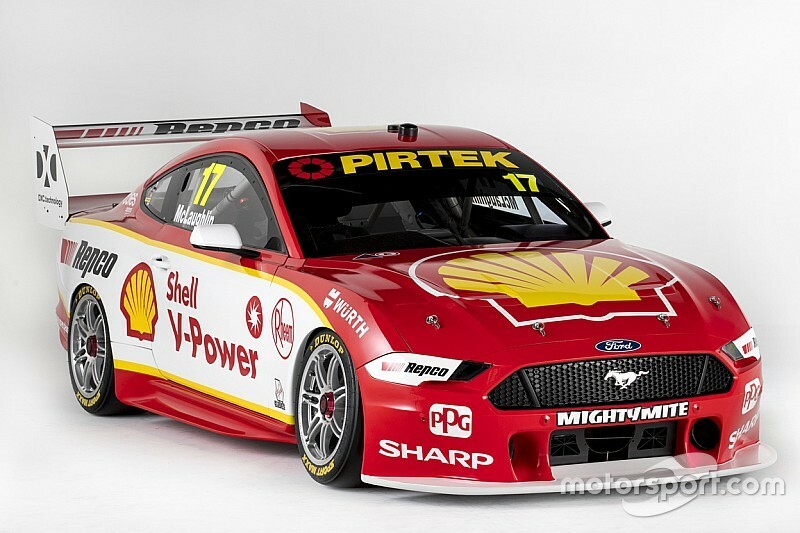 "I think it was always going to be a little bit polarising, just in terms of the decisions that we had to make to ensure that we met the rules of Supercars and effectively fitting the Mustang onto the control chassis," he said at today's unveiling of the Shell-backed Penske Mustang. "It was always going to be challenging. I think there’s some things in hindsight with the cammo livery, it did almost too good of a job of hiding some elements of the car, but it certainly made for a great unveil today, and Ford’s soft release last week was pretty exciting for people to see the car for real for the first time. "We certainly kept a few things up our sleeve, which is good. 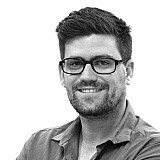 "I think some of the mixed reaction has been interesting, but we take it in our stride. "I think the car in its war paint looks the goods and I think Brian Novak from Ford Performance said it best – there are no ugly cars in victory lane." While the high roof line of the control chassis has copped a lot of the blame for the Mustang dimensions, there are some elements – such as the rear wing and low nose – that are more closely aligned to aero efficiency than meeting a Supercars-mandated regulation. While not expanding on the specifics of the aero package, Story admitted that performance was at times prioritised over aesthetics. "It’s been a critical part of the story for us," he said. "We’ve talked about our relationship with Ford in terms of developing this car and the role Ford Performance played, but it’s also important to understand and appreciate the role that the Ford Asia Pacific Design Studio played in terms of the aesthetic of the car and ensuring we keep the Mustang DNA in there. 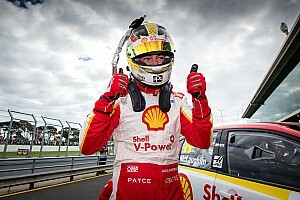 "The primary player in the development of the car was Ford Performance, so the hint is probably in the name..."
Scott McLaughlin, who will use the Mustang to defend his Supercars title, said he was happy with the final look of the car in its proper livery, after running the Ford Performance livery during last week's shakedown of his brand new chassis. "I love it. The rear wing is a bit talking point between a lot of people, but once I've seen it with the stickers on it it looks really cool," he said. "I think it looks tough." He also said there was no great difference in the looks from the cockpit, with the interior and visible parts of the exterior very similar to the Falcon. "You can't even notice it," he said. "The only thing you notice is there's no [bonnet] scoop anymore. "But if I was thrown in the car blindfolded the only reason I'd know is the mirrors. The mirrors are the only giveaway. 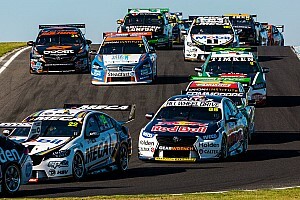 "Apart from that, sitting in the car the surrounds are all very similar."